It’s been a month since we last wrote a post. We’ve taken that time to rest, rejuvenate, and reconnect – to ourselves, our why, our source. For the last 5 years, we’ve been traveling around the world asking people one question: “What’s your dream?” Reconnecting with ourselves prompted us to ask a different question today. 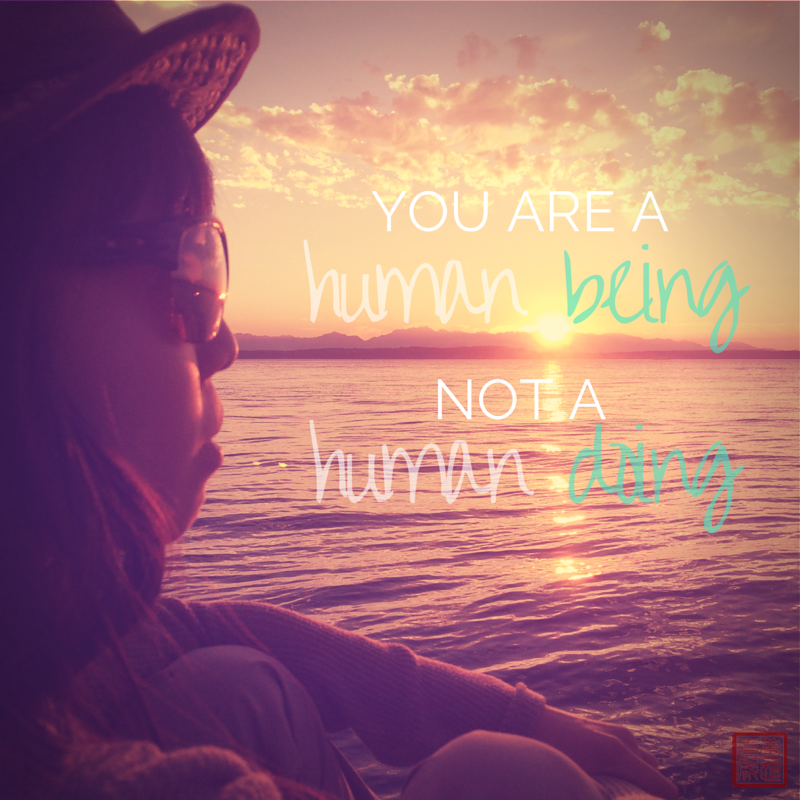 Are you a human, or a human being? You see, we ended our hiatus with a business planning retreat. And what came out of it was a priority shift – from doing doing doing – to being. As amazing opportunities and exciting projects came our way, we realized that we the humans, have left our beings behind. So we made a decision to take care of our beings first. We allocated 148 hours out of the 168 hours/week on our calendar to mindful living and 20 hours to intentional working. It gave our desired lifestyle quantity and our work quality. We got the work we wanted to do, done in the exact way we wanted it done. We’ve had the luxury of time and space – for breathtaking sunset walks by the beach, for long hot soaks in the tub, for designer-styled haircuts. We cooked and ate wholesome dinners. We spent time together. We went to bed, blissful. And we’d like to share this bliss with you. Click here to schedule a FREE 45 minute consult with us. We’ll show you HOW to get from doing to being – with Spirit and ease. P.S. If you know someone who can use a little help un-doing + (re)being, please pass this post along to a friend, colleague, or client – anyone who could use a little reminder and help in their journey en route their dreams.